Healthy Little Champ Flintobox Review !! We Parents usually Face many Problems Towards our Children’s Overall Brian development in early learning years . These Days kids are more on Smart phone , tabs , television,etc..
Gadget Addiction towards kids is proved a big nightmare to many parents . But how to overcome this situation ? There are more of Educational Kids Activities boxes these days . Which are equally fun and meaningful for kids . Buy them Some Kids Activities Boxes so that they can easily engage with them which helps kids in many ways . SO THAT Our Child can play independently, builds confidence, enhance their fine motor skills, provide avenues for creativity while enabling the child to experience various aspects of dimensions. Kids Subscription Brand Called Flintobox , which many of the parents are already Aware of. 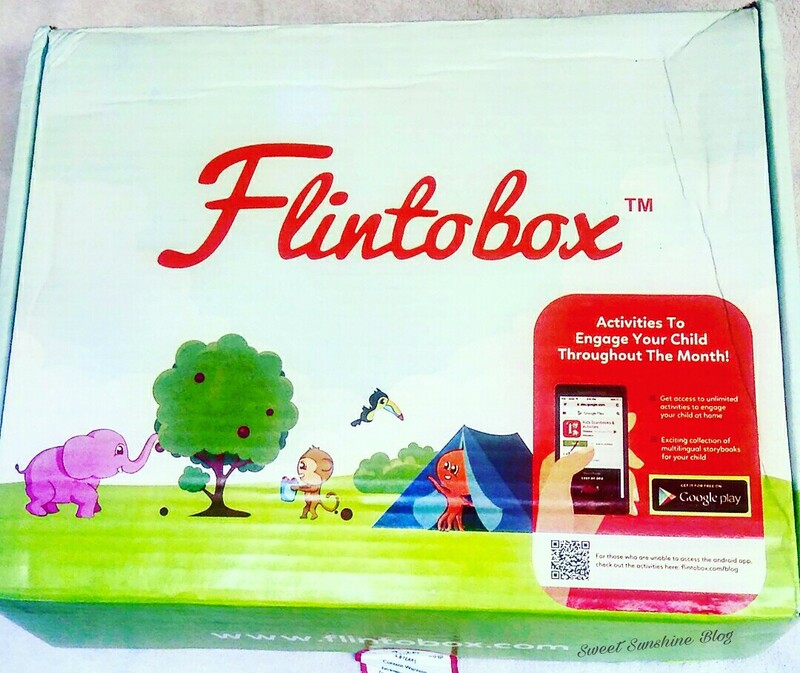 Flintobox is an award-winning and age-appropriate subscription box for children, delivered to your doorstep every month! Each box is loaded with play-based activities for kids that promote early child development in a fun and explorative way. With a new theme every month, this research-based box is crafted by montessori experts and child psychologists, and caters to the 12 developmental areas of a child. Flinto is the protagonist of this wonderful tale, we call the Flintobox story. With a kind heart and a keen sense of morals, he guides his friends through their adventures. Flinto is the inspiration for each and every activity, game, stories that come together in a box. This creative, fun loving octopus has managed to melt the heart of every person who has crossed his path. Developing a child’s creative skills ? So Guys We Receive This Healthy Little Champ Box for My Elder Son Ansh Which is Suitable For Ages 4-12 . So Let’s Talk About all the activities inside the box one by one ! Which is Packed with 4 activities to Explore, Create, Play and Read For Our Kids . This is a Sensory activity for our child by which they creates a colourful family portrait using colourful sand. This is an Interesting memory game in which your little chef whips up some tasty soup! This is a Wonderful activity for our child to sow seeds and observe how a plant grows. This lets Get our child to build a healthy eating habit with this one-of-a-kind activity! This is reference chart which is helpful in healthy eating habits to our child. This is an interesting story book, which is a must have for every child. Both Of My Son Are Very Fond Of Listening To Stories . Good listening skills promote the development of learning, social, and literacy skills in children. This kit is like a Cherry on the top for all of us. It contains Stencils and other two badges which are based on the theme of this box. How Can A Child will benefit from this box ? This helps in Introducing your child to vegetables, health & nutrition and make them a Healthy Little Champ Indeed ! Is eating healthy an anxious, troubling topic for your child? Make it appealing for your little champ with an assortment of engaging, practical activities – explore the world of plants; play with vegetables; and learn how rewarding eating healthy can be! Every Flintobox comes with an easy-to-understand instruction sheet and a demo video on our website on how to do the activities. Each activity box will be packed with 3-7 play-based activities along with easy-to-understand instruction sheets. Every month, your child will receive a different set of activities. These Box contains Activities for this age group will lay the foundation for what your child wants to become. This Box is really helpful in gaining A good, healthy diet habit In our child ! We personally Love this Healthy Little Champ Acivity Box & wanted to Enjoy more boxes from Flintobox ! I Will suggest this To Each & every Mother to help in developing their children’s Brain development & Much More ..
Trust me you Can Never Get Such a meaningful indoor activity for your kids, better than this .. So A ⭐⭐⭐⭐⭐ 5 Star Rating from my Son’s side. So Let your child discover & learn These play-based science , health and art activity kits which introduce fresh concepts, easy learning and bring about independent thinking in them. Let your child learn more with their amazing subscription plans. You will receive a new box every month right at your doorstep. Choose from their subscription plans or their wide range Single Subscription plan. In case if you wish to try their products first, you can also choose from a variety of single boxes available on the website. These Boxes are Easily Available at their website & Priced at between Rs. 1195/- Per Box. But If You Subscribe For 3,6 or 12 months You give get a huge discount..
Flintobox is available for 4 different age groups and all the activities are age-appropriate. They are: 2-3 years, 3-4 years, 4-8 years and 8-12 years. Currently a Children’s day Sale Is going on , so do Check it out !! This box seems perfect learning box for my growing daughter too. Flitobox are amazingly made for kids development. I just love idea of learning with playing . Flinto box is a boon to many working parents who cannot spend time creating activities for kids. This box makes their job super-easy. I feel the box is superb way to keep kids engaged in a healthy way. I would love to try flintobox for my son too. this is such a creative way to promote learning among kids. I love that there are options to keep the kids engaged! I really like the concept of Flintobox! It is fun and exciting for kids!